What it is? Princess Morbucks went mad and she claims herself as one of the Powerpuff girls! However, the original girls won't accept it and they will do anything to resist. 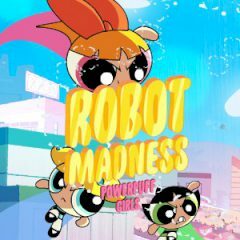 The team of Powerpuff girls will fight Princess Morbucks in this game. She wants to become the only one Powerpuff girl in the world, so she had made a big ship to destroy her competitors. Now you need to defeat her using your power and dodge the incoming shells.